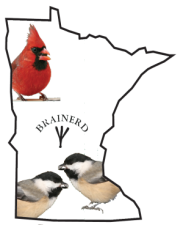 MN Backyard Birds offers a very helpful and unique service in the Brainerd Lakes Area to clean and refill your bird feeders weekly with fresh local bird seed! Many year round and seasonal cabin and home owners who stay and visit the Brainerd Lakes Area on weekends really enjoy this service! Here is what we can do for you to save you time and money but have all of the enjoyment! No more trips into town, unsure what seed to use for each feeder, no more critters chewing your plastic cans, no more interuption of seed and empty feeders, not able to reach or access your feeders due to snow and ice, don’t have time to properly clean under the feeders in the spring, unable to relocate feeders or install, attracting the wrong or no birds, squirrel problems! If you have just one of these issues we can help you increase the number and variety of colorful songbirds coming to your home! Contact us today and see the maintenace difference tommorow!